At Best Practices Foundation (BPF), we have been committed to the cause of equity for women, particularly the poorest and most marginalised, since 1999. Our aim has been to use research, documentation and innovation for inclusion and justice at all levels. 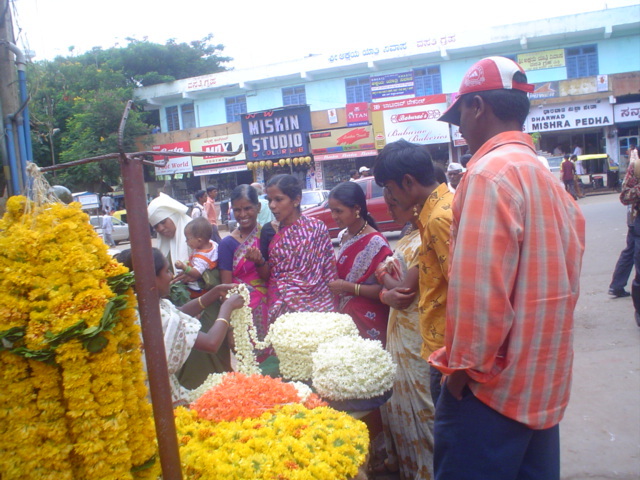 MOVE trainees conducting a market survey in Dharwad, Karnataka, India. Our livelihood innovation MOVE was originally developed to impart market education to enable landless, illiterate rural women to start businesses. In addition, our work in research and documentation is informed by best practices on the ground, and seeks to inform policy at the national and global levels from the perspective that communities are experts on what they need and the interventions required to fulfil those needs. Currently, our work feeds into three major campaigns for women. Our own livelihoods campaign involves training women mobilised into self help groups in Karnataka and the rest of the country so that they can become successful micro-entrepreneurs in businesses of their own choosing. The model is recognised as a practical, profitable and very low risk approach to creating sustainable market niches, and has, over the years, been replicated and adapted for poor youth, quarry workers, beedi workers, sexual minorities and women with HIV/AIDS with great success. Grassroots women strategising in Kenya. and corruption to be carried out in five countries in three continents. The Huairou Commission is supporting grassroots women to initiate dialogues, share their knowledge (locally, nationally and globally) and build partnerships to ensure their solutions to fight corruption gather visibility and legitimacy, and to improve the accountability and transparency of governments and institutions. Our current action research on women and resilience purports to highlight the voices of communities living and working in disaster prone areas to identify their priorities for community resilience and both community and institutional action in the face of natural disasters and climate change in Asia. It seeks to provide key advocacy inputs of the post Hyogo-era to make the world safer from natural hazards. 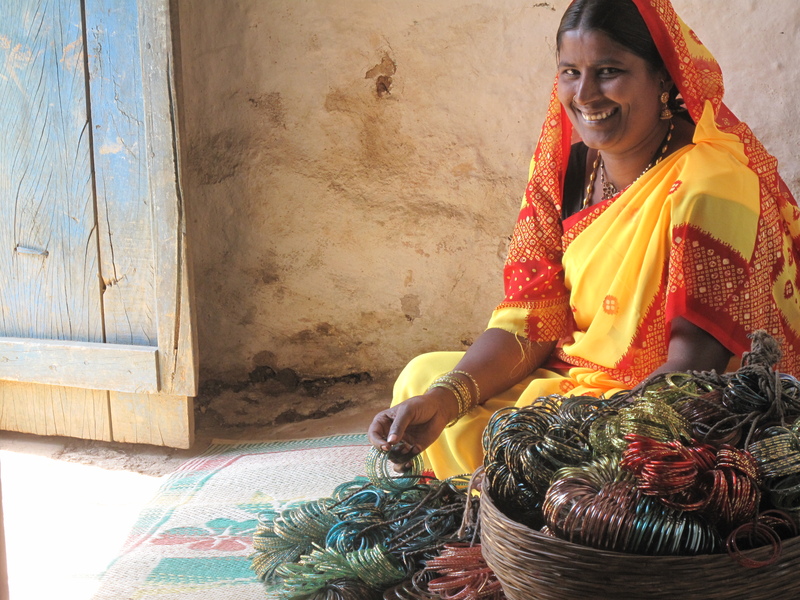 Becoming an entrepreneur has improved life for Zubeida and her family. Zubeida Mahboog Sab Mulimani, 41, was forced to drop out of school after Standard 3 and into marriage at the age of 17. When she first married, her husband’s family, who were farmers, possessed a hectare of agricultural land. Financial difficulties forced them to sell that land about 20 years ago, after which the couple made a living as vegetable sellers and head loaders. Eventually her husband went into the transport business. Her own family owns a 20 acre farm in Unkal. They were unhappy with the fact that her husband had sold his land and tried to convince her repeatedly to move back with them. Unwilling to leave him, Zubeida tried to supplement the income by selling chickens, firewood, and bangles that she bought whenever she visited her parents. Her husband was opposed to the idea of her leaving the house, however, and beat her whenever he found out. 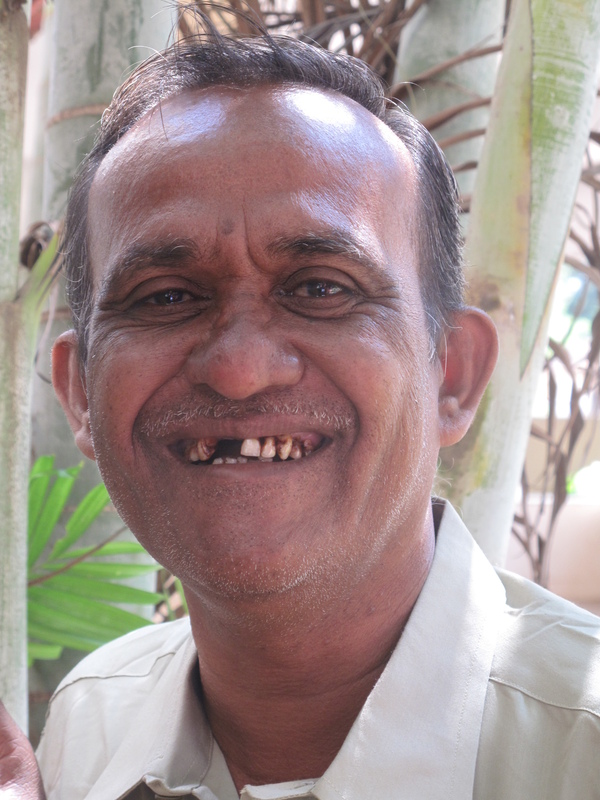 Zubeida and her husband are both uneducated, as are members of their extended families. But both were keen that their four children get as good an education as they could afford. Five years ago, BPF trainers R B Hiremath and Pawarshetty encouraged her to join the local women’s self-help group or sangha that they were working with to impart BPF’s MOVE livelihood training. Her husband was opposed to the idea at first but was counselled by the trainers that it was a good thing. Through the sangha, Zubeida was able to to start saving and apply for loans with which they were able to repair her husband’s tempos. Her husband’s transport business was doing quite well by then, but the couple had incurred high debts from establishing and running the business. Zubeida eventually trained in MOVE herself. The Participatory Market Analysis and her newly learned ability to make business plans helped her realise that maintaining her husband’s faulty vehicles was a debt trap and convinced him to sell them. She herself went into the bangle business. At first she took a relative along to buy stock from her hometown. Now, she goes to Hubli, Dharwad, Faizabad, and was planning a trip to Mumbai when we spoke to her last. Originally developed for landless, illiterate rural women, MOVE is a market-driven, participatory livelihood model. Now that she is an entrepreneur and a bread earner, Zubeida has far greater status both in her family and her community. The family eats better, with meat twice a week. She negotiated better interest rates on the mortgage for the family home and has renovated the entire structure since. Her husband’s health has improved and his blood pressure has dropped now that they can afford better healthcare. He accompanies her on stock-buying trips to larger towns. They have possessions they would never have dreamed of acquiring in the old days. Zubeida became vice president and then president of her sangha and is currently a member of the Gram Panchayat. Zubeida’s is not an isolated case. BPF’s MOVE (Market Oriented Value Enhancement) model has helped create micro-entrepreneurs across sectors and geographies with rural youth and women, sexual minority communities, people in hazardous jobs such as quarrying, and many more. With women, it has helped create income streams for the trainees and those they subsequently employ. More importantly, it has contributed to the economic wellbeing of families and communities as well as women’s empowerment in the family and the community as a whole. The Kathmandu Municipality contributed USD 100,000 to the Urban Community Support Fund. This is the first time in Nepal that a local government has contributed such a large amount to support people’s own initiatives to address… poverty and housing. (It is also) the first time that poor people are sitting with NGOs, professionals and government officials… to administer these funds. This has never happened before in Nepal. We see it as a very big achievement! The Saptakoshi River flood in August 2008 displaced over 25,000 people, forcing them to live in relief camps for almost a year afterwards. The District Development Relief Committee identified 1,096 landless families; 235 received shelter support through a collaborative effort between the government, community and national and international NGOs and relief agencies. Every family was provided a piece of land, initially in the name of the men. Local women’s federations lobbied for land titles in the name of both spouses, and for the first time in Nepali history, an entire settlement was jointly titled. As in most developing countries, affordable housing with water and sanitation facilities poses a major challenge for the poor in Nepal. Many lack official documentation, and squatters, with no proof of ownership, find it particularly difficult to access basic services and other citizen entitlements. For women, poverty has even greater implications. In June 2006, however, the government mandated that a third of government seats should be filled by women. Although implementation has been slow, it stands as a landmark decision to include women and marginalised groups in governance. The Lumanti Support Network for Shelter is an NGO that partners with local and international organisations to provide shelter to the homeless. They also work on other programmes in microfinance, education and child development. Underlying their work is the conviction that communities know what they need and that grassroots women possess the expertise and experience required to improve their situation. What they need is the capacity to articulate their situation, desires and expectations. 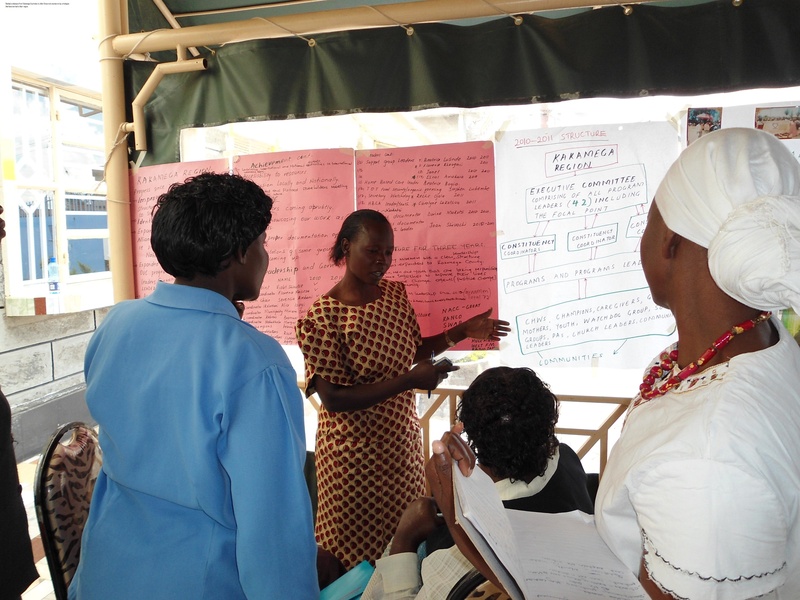 Using participatory methods such as informal community discussion, analysis and reflection, Lumanti works with community leaders on action plans and capacity building. Collaboration between communities and government enables citizens to formulate solutions for a wide range of issues. Land tenure security, for instance, is inextricably linked with water, education, healthcare and livelihood issues. Communities with access to government resources and the capacity to negotiate terms for planning and implementation can ensure that development programmes are relevant, sustainable and successful. In 1980, the Vishnumati Link Road project involved the construction of a road that would result in the displacement of a number of informal settlements. Meetings between the residents, slum-dweller federations, Lumanti and the government brought the matter to a halt until 2000, when road construction began and the residents were evicted. The federations lobbied vigorously for alternative housing for the families affected by the project. As a result, the Kathmandu Municipality helped build 44 houses on public land over the next two years. Over a 100 families registered for the houses but it turned out that not all of them were genuine squatters. The federations and Lumanti then took on the task of identifying the families in genuine need and allocating the houses to them. Later, the Urban Community Support Fund helped provide easy credit to help the community with housing and income generation. Women’s leadership tends to benefit the entire community as they consider community issues such as water, health and education. The encouragement of grassroots women leaders has consistently illustrated how they not only drive large-scale land-related programmes, but also negotiate for greater equity and justice on issues of entitlements, such as joint titling of land. Although the prevalence of HIV/ AIDS in Kenya has declined from about 13 to about 6 per cent since its peak in 2000, the country continues to face one of the world’s harshest epidemics. An estimated 1.6 million people live with HIV, around 1.1 million children have been orphaned and in 2011, nearly 62,000 people died from AIDS-related illnesses. While the epidemic here has been categorised as generalised – it affects all sectors of the population – women are disproportionately affected. 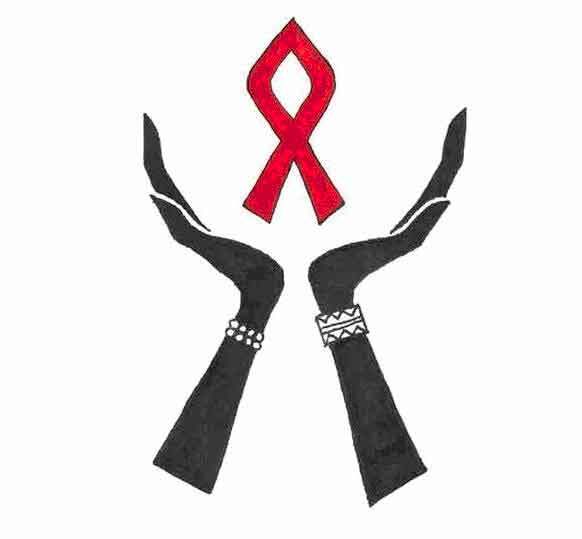 The country’s Community Home-Based Care programme, a part of a pan-African alliance, is a community-based response to the ravages of the AIDS epidemic by grassroots women caregivers. In the beginning, the care groups volunteered their services at the local district hospital so that their members could receive treatment. Now, they link people most in need to health services — lobbying with hospital management for free treatment, accompanying the sick to hospital and pressuring hospital staff to admit them, and so on. 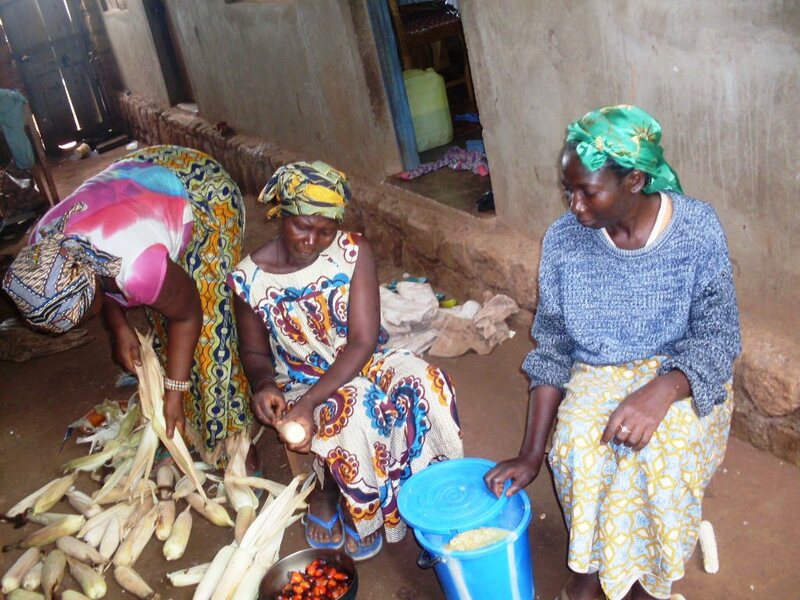 They also promote food security through collective farming, encourage income-generating activities, intervene to reduce stigma, act as traditional birth attendants, engage with government officials, and provide support and counseling services. Thanks to their efforts, many hospitals now recognise home-based care providers and the public mortuary no longer charges to accept the remains of AIDS victims referred by them. This has increased caregivers’ access to basic drugs and supplies such as gloves, which they can dispense to patients in rural areas. The Gatundu Mwirutiri Women Initiatives, a member of GROOTS Kenya, is a women-led community based organisation with 26 sub-organisations spread across the Gatundu district. It has developed alliances with public service providers in the administrative and NGO sectors to improve the delivery of services to the needy. It has also campaigned vigorously for the formation of watchdog groups (WDGs), 18 of which now safeguard the ownership and inheritance rights of HIV/ AIDS orphans and widows in every village in the district. Recalling the Nari Adalats of rural India, these informal mechanisms complement the formal judicial system to deliver affordable justice to the most vulnerable and solicit the active participation of their communities to ensure compliance with the verdicts. Many women who have benefitted from the initiative have been inspired to participate actively in land board meetings and even seek appointment in the provincial administration so that they can helps others in the same position as they once were. Now, even the village elders leery of women-led community empowerment are beginning to display a change in outlook. Home-based caregivers promote food security in the community. Apart from the physical, social, emotional and legal support they offer, the women lobby to ensure that women are represented and their priorities heard by the local administration and policymakers. Using a combination of collaborative and confrontational strategies, they are working efficiently and holistically to reduce the impacts of HIV/AIDS, curb poverty and marginalisation and foster community ownership and government accountability. The unavailability of authentic facts and figures due to the ineffective functioning of or cooperation between the Panchayati Raj Institutions and line departments poses a major obstruction to community involvement in local governance, and a hindrance to their role in planning and monitoring. However, the Right to Information (RTI) Act passed in 2007 ensures that citizens anywhere in the country can access information on government programmes. The Data Exhibition, an innovation of the Assam Mahila Samata Society (AMSS), presents the discrepancies between data released by the government and the facts as they really are, in a public place for the benefit of the whole community. Sangha women conduct house-to-house surveys to procure information from the community, on the one hand, and access official data through the RTI, on the other. Literate and semi-literate sangha members from the four core committees (health, education, legal and economic) are selected and trained to collect the data. They are also trained to file applications under the RTI. Illiterate sangha women accompany them on their data collection rounds. 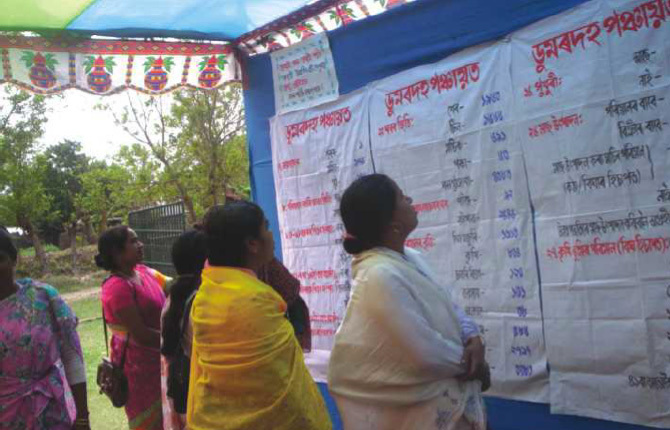 The information – from the ground and official records – is then compiled and collated by literate women at the Panchayat level and finally displayed for the public. Government officials from different departments are invited to attend the exhibition. This is followed by a meeting to discuss the findings and initiate dialogue between local government and the community. Sangha members preparing the exhibits. The first Data Exhibition, held in Dhubri, Assam, in 2007, was a grand affair, attended by the public, the District Collector and members of the local administration. The exhibits were simple drawings of the location of various village institutions, the socio-economic status of the community in each Panchayat, government schemes and a list of community members officially below the poverty line. Another strategy used is the dream map where women visually present their vision of an ideal community and compare it with the present situation. This leads to dialogue on the priorities and problems identified by the community. For instance, the Total Sanitation Campaign had been discontinued in Sahabganj Panchayat. Discussions on Information Day helped women become aware of the sorry state of sanitation in their panchayat and press for better sanitation facilities. In Danduwa, the federation members who had organised the Data Exhibition were invited by the Panchayat president to participate in the Gram Sabha held in 2009. The women prepared and submitted an accurate BPL list to the Gram Panchayat, following which 397 families received BPL cards. Shashi Prabha, a federation member from Darrang district, recounts another instance of gender discrimination coming to light through the Data Exhibition. When the lists of those assigned MGNREGS job cards were displayed, it was revealed that women perceived as physically weak were not allotted work. The women met the District Collector and were assured of job cards. But instead of being issued to the women, the cards were kept in the Panchayat office. It was through the exhibition that the intended beneficiaries came to know about their job cards. The sangha women complained to the Block Development Officer (BDO), and upon his instruction, the cards were delivered to the women personally the very next day. The Eleventh Plan envisions education as a process that enables women to act collectively and empowers them to solve problems. 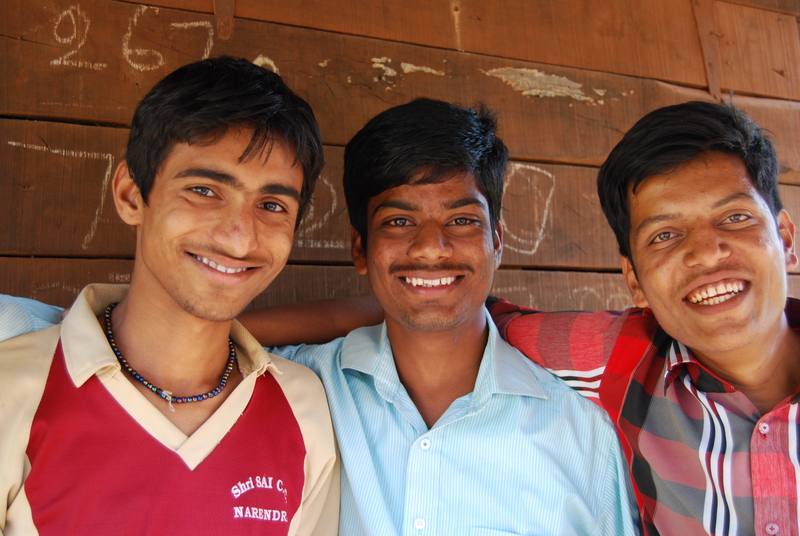 Sanghas are empowered when they have access to the information they need. The Data Exhibition provides women this information and enables them to act on it. The national healthcare situation in rural India leaves much to be desired. Low attendance by medical staff, insufficient supplies and a lack of community involvement results in a high dependence on exploitative private healthcare providers. In Maharashtra, women’s groups have organised themselves into Community Health Workers (CHWs) to specifically address these issues. The involvement of women brings more affordable, better quality healthcare to their communities. 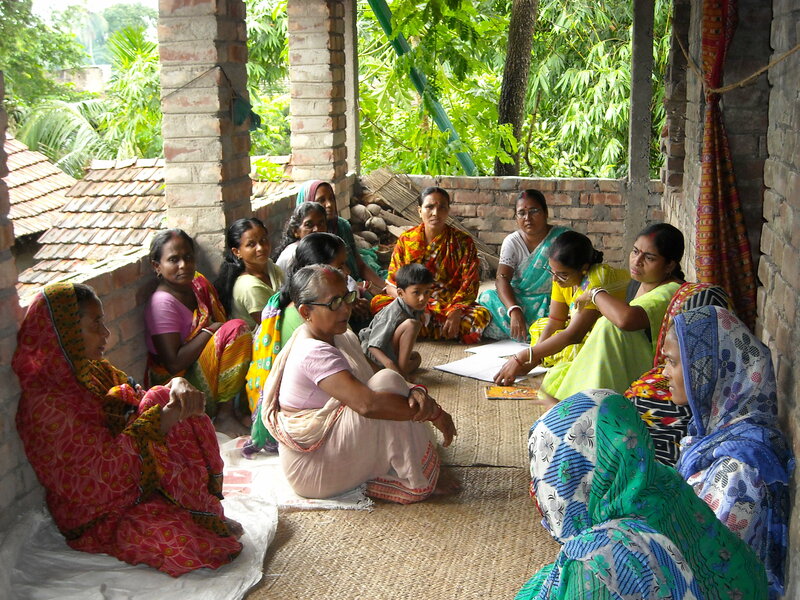 CHWs initiate discussions on HIV/AIDS within the self-help groups, creating a ‘culture of openness’ within the villages. They accompany pregnant women to HIV/AIDS testing centres, and refer them to rural hospitals for anti-retroviral treatment where they get advised on family planning, nutrition and formula feeding. Through increased community awareness generation and routine monitoring of the patient’s health, the CHWs ensure reduced stigma, improved and sustained health of these vulnerable women. CHWs also monitor the working of PHCs, Taluk and District hospitals to ensure accountability from the government. In the Jan Sunwai organised by the District Mentoring Committee meeting of Osmanabad district, in Maharashtra held in April 2011, the community women participants raised the issue of sexual harassment of a pregnant woman during labour by the PHC doctor in Salgara village. The District Health Department initiated an investigation based on the complaint, which resulted in the suspension of the doctor in August 2011. CHWs participate in government committees and lobby to change government policies, influence decision-making and budgetary processes. Surekha Kamade, of Perthkhurd village in Osmanabad district, was an effective and experienced leader. As the SHG president, she helped women access their rights from various government programmes. She had good communication and record keeping skills but was educated only up to the 7th standard, which disqualified her from being an ASHA worker. The women’s groups lobbied for a change in the rules of selection. 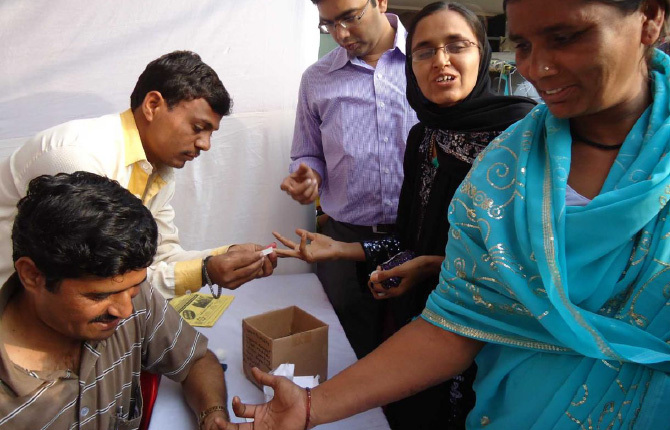 This paved the way for her to apply to Gram Sabha and be selected as an ASHA health worker. Today, her sincere work and goodwill in the community has resulted in her being elected as a member of the Gram Panchayat. In Khatgaon village, Osmanabad district, the presence of women on the Village Health Committee ensured that the committee released INR 2000 to a woman who went into early labour. She had not set aside money to meet her expenses. Women’s groups run campaigns such as the Clean Village campaign and educate the community on the importance of clean water and sanitation practices. In short, this network of women community health workers ensures that the community has access to reliable and timely information on health. They strengthen the capacity of the public health system to reduce exposure to disease and increase the community’s access to affordable, quality healthcare.